Bring home the bacon with this homemade bacon recipe. Or to be more precise, bring home the pork loin, Tender Quick® and brown sugar and make your own bacon. Making your own bacon at home is a fairly simple process. You have the ability to make a bacon that's leaner than store bought bacon, plus you're able to flavor it the way you like. It can be made heavy on the brown sugar, with lots of cracked black pepper, or even with red pepper flakes. That will really wake you up in the morning! Rinse the pork loin, trim off the excess fat and rub in the black pepper, covering all sides. Next, press the Tender Quick® curing mix onto the loin. And after that, the brown sugar. Place the loin in a large plastic food storage container or food storage bag and refrigerate for four days, turning over once each day. After the fourth day, rinse off the cure and sugar, then dry the loin off with paper towels. 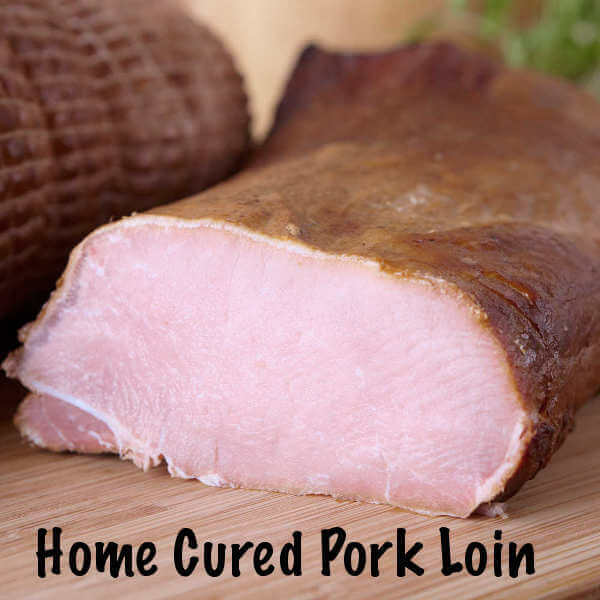 Allow the now-cured pork to air dry while you prepare the smoker. The next step of the homemade bacon recipe is to smoke the cured pork loin in a cold smoker for 4 to 6 hours, depending on how smoky you want your bacon to taste. You can smoke the bacon in a hot smoker, but try to keep the smoker temperature below 200 degrees Fahrenheit. And remove the pork when it reaches 140 degrees Fahrenheit. You don't want it to cook in the smoker. It just needs to get some smoke flavor. After smoking, wrap the bacon in plastic wrap, then in foil, and refrigerate for at least two days before slicing and frying as you would regular store bought bacon.